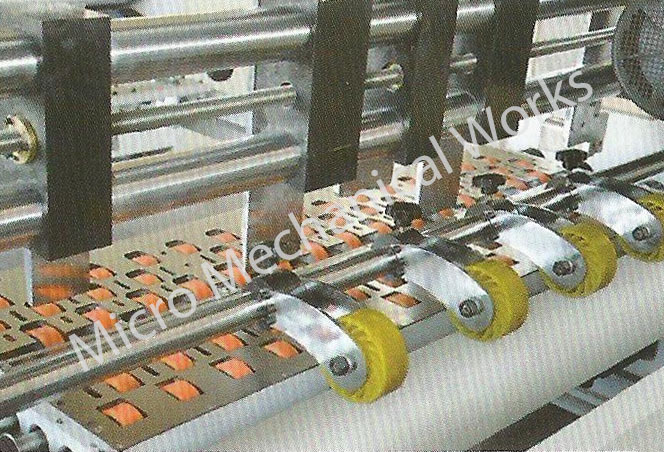 Double servo feeding system with independent suction fan,each row of wheels is driven by independent serve motor.set the feeding width in the computer,the feeding wheels start up synchronously but stop one by one till the entire sheet is feede into the second feeding box.The second feeding box is also driven by serve motor.It starts with main engine and always keep the same speed with printing .no feeding rolls in the feeder to prevent the corrugated wave from damaging. 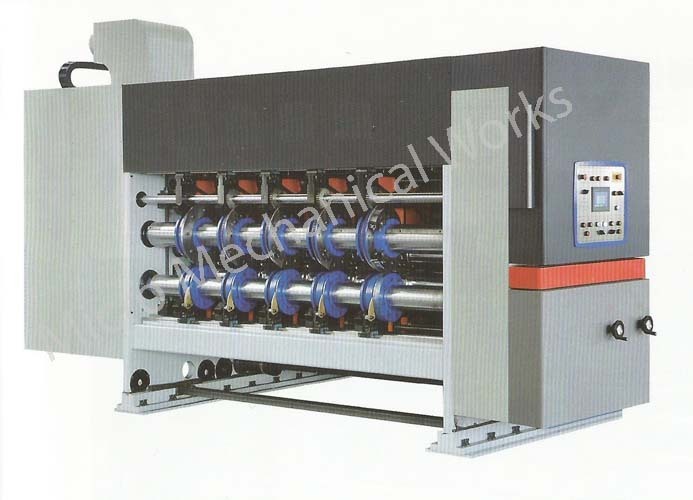 Dust removal device:the cleaning brush can clean the dust on surface of corrugated board to improve the printing quality. Side stop is motorized control.Flapping device to make the sheet pile in good shape. All the information can be showed and adjusted in the main touchscreen.The phase of each unit,box height can be setted in tha main touchscreen. Memory system:Production orders can be saved and recalled to save changing time. Ink alarm system,the buzzer sounds when the printing unit be lack of ink. Mounting plate system to save the changing plate time.foot switch is used to turn the printing cylinder when mounting the printing plate. 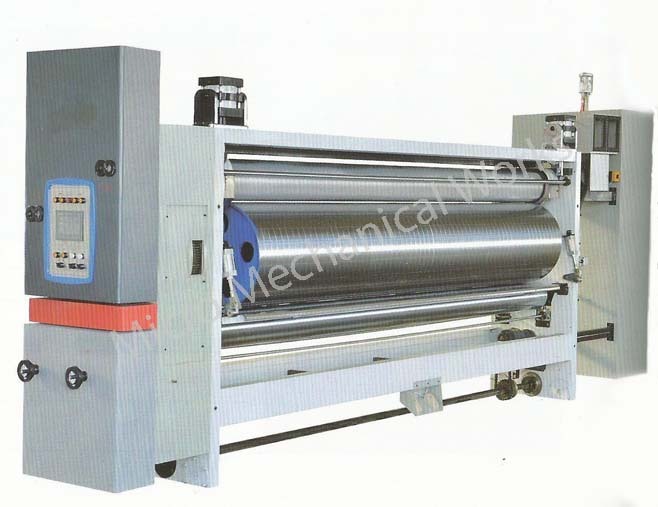 The anilox roll lift up and separate from the printing plate automatically when sheets are not feeded.And the anilox roll keep running when lifted up to prevent the ink from drying. 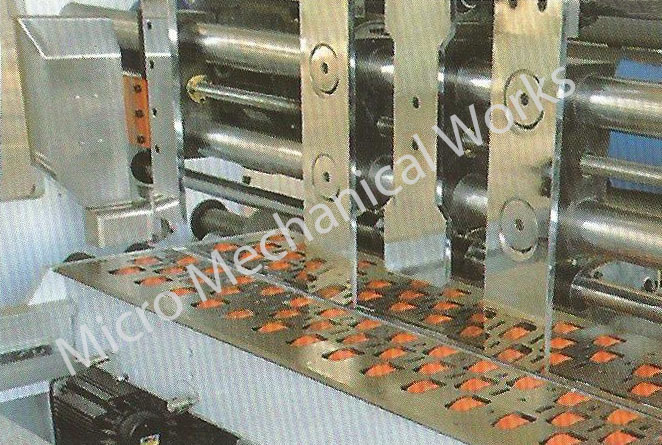 Self-locking and fast move of the feeding wheels on printing unit .no need to fix the feeding wheels by screws. Singal shaft double knives slotter,7.0 inch touchscreen on the slotter,box length,box height and width are all controlled by PLC and can be stored in the computer ,saving the changing time in future. The up knife,lower knife ,pre -creaser and creaser are synchronously moved.The precision liner slideway can ensure the flexible and stable of moving. 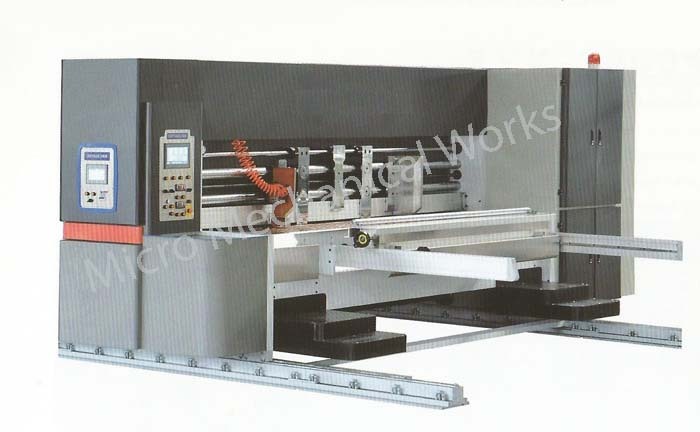 Flexible corner cutting knife can cut 3,5, and 7 layer corrugated board without adjustment.Easy to operate. The cutting knife is made of high quality alloy steel,knifes thickness 7mm. Hand hole punching device is optional.